With a deep v-neck and crystal embellishment this Murek kaftan is a stunning piece. 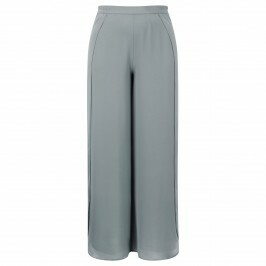 Team with Murek’s gorgeous dove grey palazzo trousers for a glamorous ensemble perfect for a glamorous cruise or evening events. Silver print chiffon, embellished kaftan. 100% Polyester. Hand Wash.